We treat you and your kids! 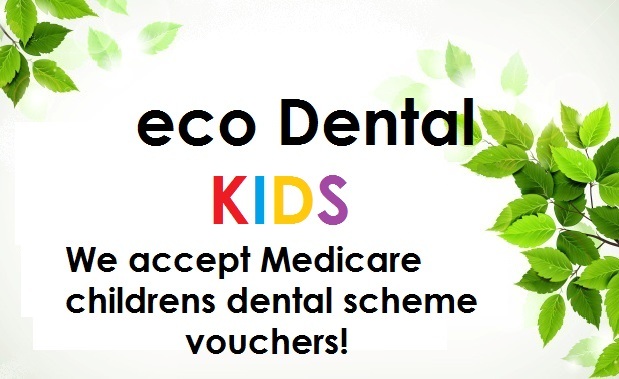 The experienced dentists at eco dental love treating the whole family from you to the kids! We also have an Oral therapist who specialises in treating kids! For more information come in and have a chat with our helpful staff! We also accept all eligible kids under the children’s Medicare scheme. If you are not covered by a health fund or Medicare we pride ourselves in our low fees. For some fun for the kids, follow the website addresses underneath!